When Newt Gingrich told a group of Harvard students last month that schools in the poorest neighborhoods “ought to get rid of the unionized janitors, have one master janitor and pay local students to take care of the school,” it was easy to mock him as a child-labor-law-hating Scrooge. But it turns out that Newt’s latest, greatest idea didn’t come from the recesses of his historically significant brain. No, he stole it from New York. Or rather, Newt stole it from Joe Klein when Klein was one of us. 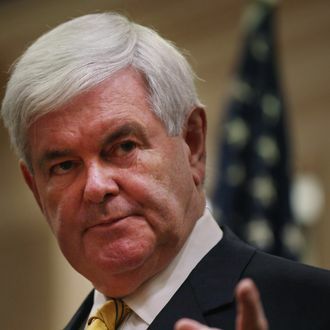 This issue is very personal to me – as Gingrich pointed out when we chatted afterward – because I gave him the idea in the first place, twenty years ago. He read a column I wrote about New York City’s fiscal cataclysm, in which I mentioned that the school janitors had a contract that paid them more than teachers received (nearly $60,000 – and now nearly double that) but, according to said contract, they only were required to mop the cafeteria floor once a week. I suggested at the time that maybe the city could save some money by contracting out the heavy-duty janitorial work, but also build some character and community spirit by having the kids and their parents help keep the schools clean. New York and Newt Gingrich: Not necessarily consenting ideological bedfellows since 1991. Newt Stole His ‘Kiddie Janitors’ Idea From Us!